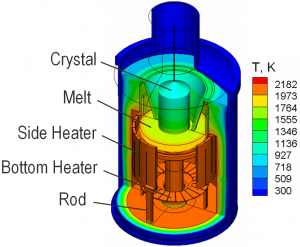 STR provides advanced research and consulting projects to study and to optimize crystal growth from the melt and solution. 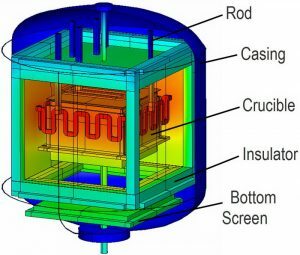 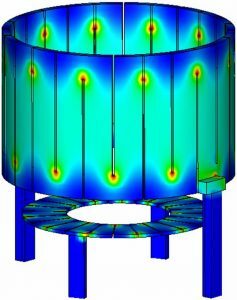 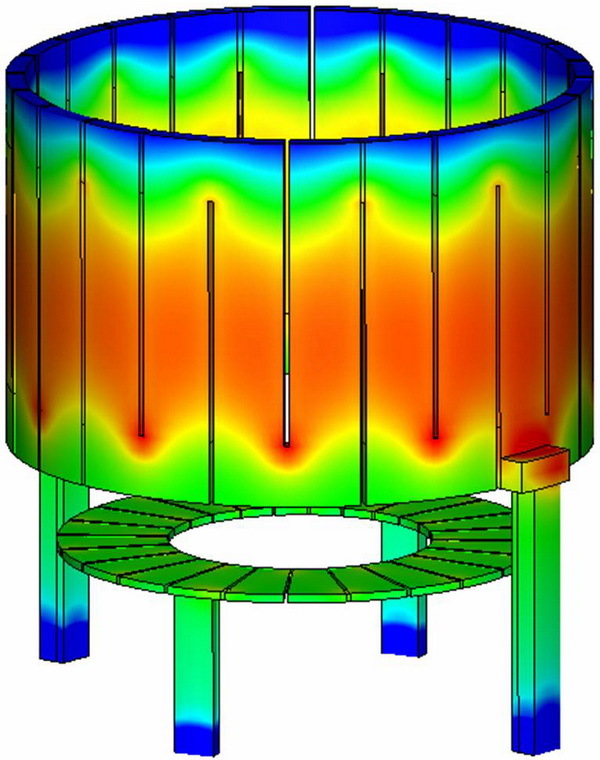 For example, Fig.1 and Fig.2 illustrate a detailed study of 3D features of heater design and cooling of graphite rods supplying electric current to the side and top heaters of a Directional Solidification System (see  for details of the DSS). 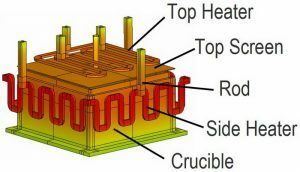 Depending on a heater design and engineering of electric current supply, there is particular generation of the Lorenz force in the melt flow as a result of electro-magnetic interactions between heaters and other conductive materials. The Lorenz force can change considerably the melt flow, heat, and mass transfer , affecting crystallization front geometry and effective segregation of impurities. 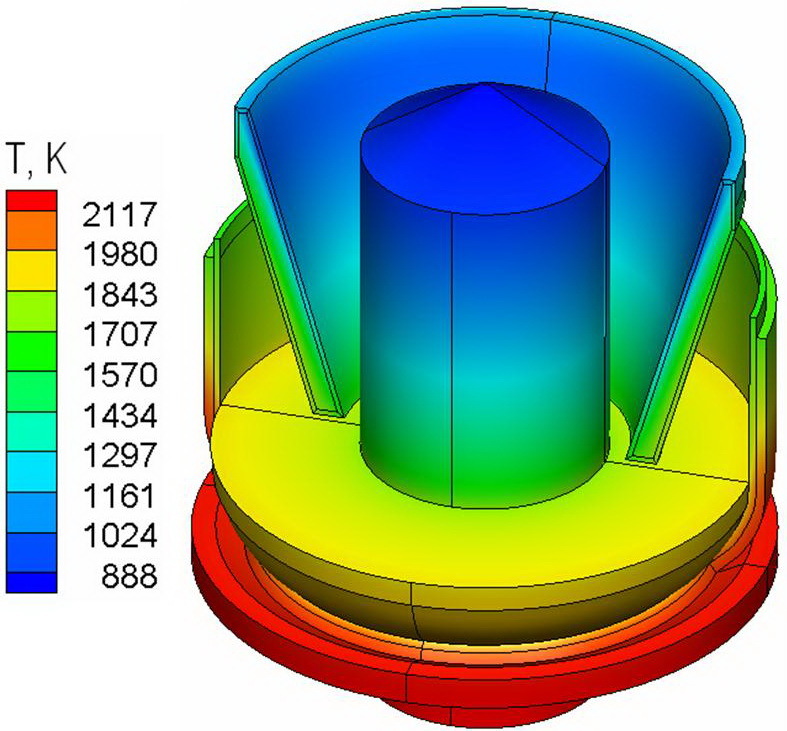 Czochralski crystal growth furnaces are usually designed to provide nearly axisymmetrical temperature distribution in the crystallization zone (see Fig.3). 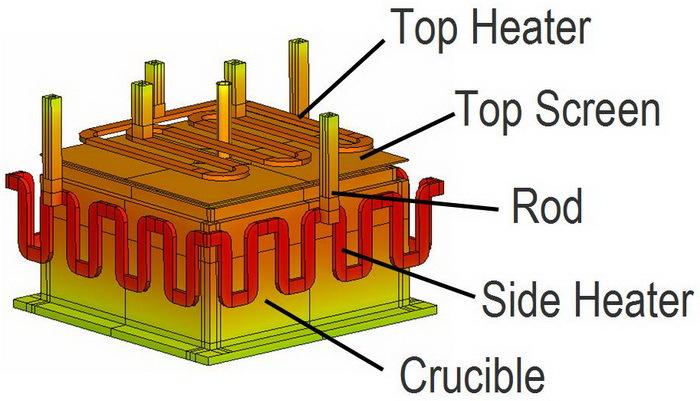 However, real 3D designs of the heaters and rods supplying electric current make very nonuniform heat release and temperature in the heaters and surrounded blocks, as it is demonstrated in Fig.5 and Fig.6. However, reasonable adjustments of the crystal and crucible rotation rates can provide absolutely axisymmetric temperature distribution in the melt and in the crystal as shown in Fig.4.